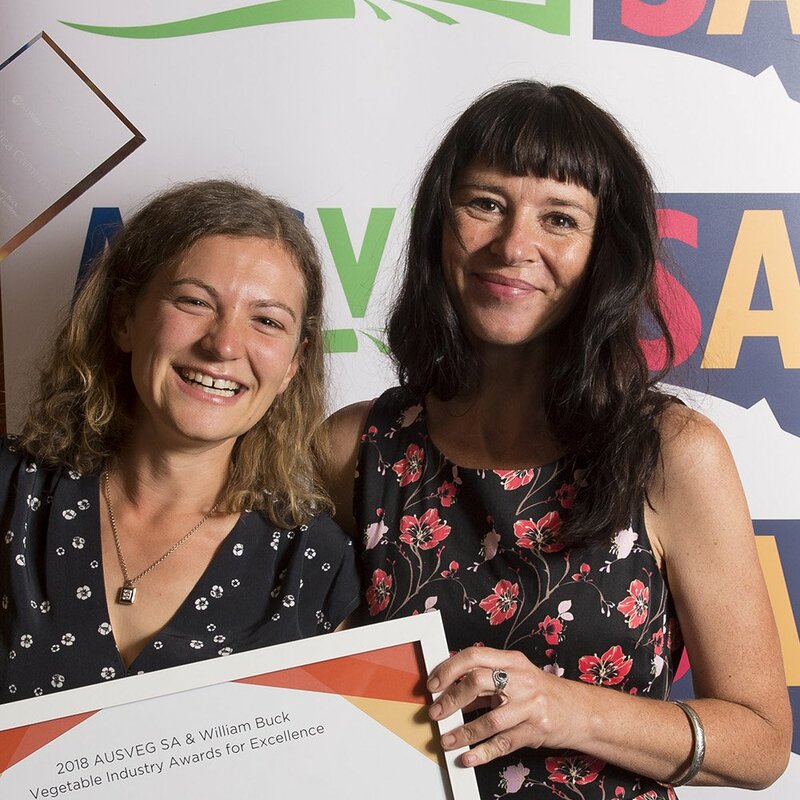 This year IPM Technologies entomologists Jessica Page and Angelica Cameron received the vegetable industry ‘Researcher of the Year’ award in two different states. 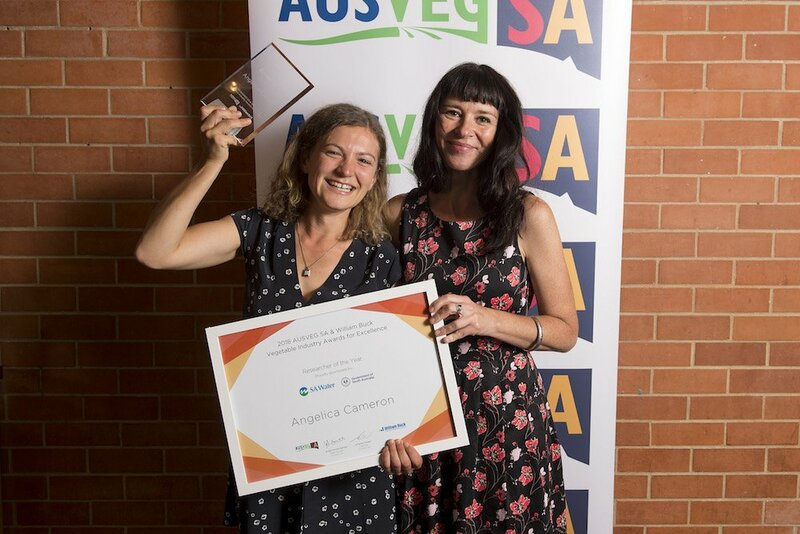 Angelica Cameron was given her award at the AUSVEG SA 2018 awards night in Adelaide on 11 April and Jessica Page received her award at the AUSVEG VIC awards night held in Melbourne on 13 April. 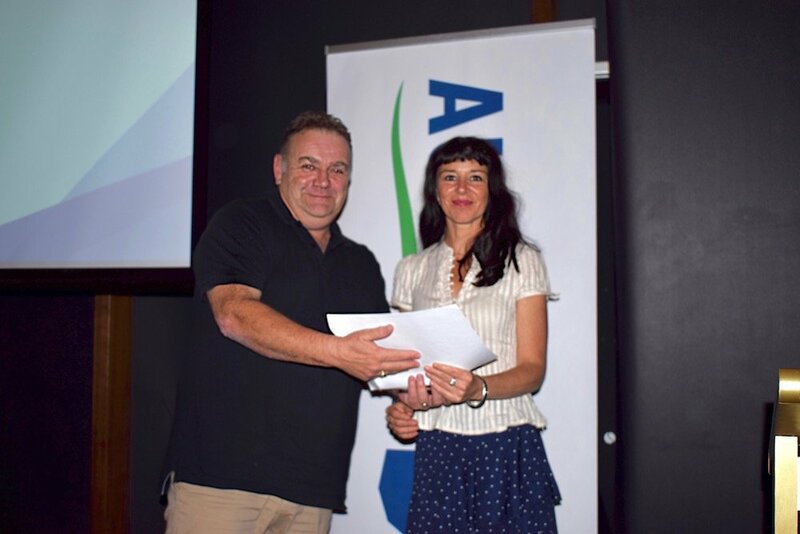 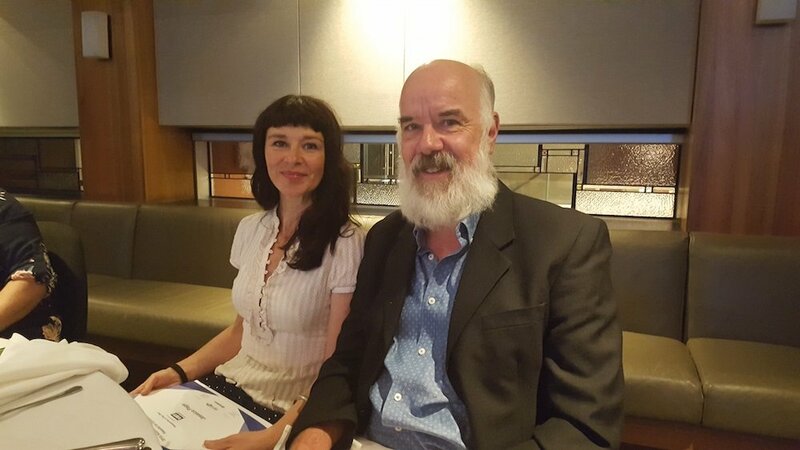 Angelica has been working on a highly successful project aimed at increasing adoption of IPM by vegetable growers in South Australia, by training agronomists and other advisors across the state to give IPM advice and provide IPM services. 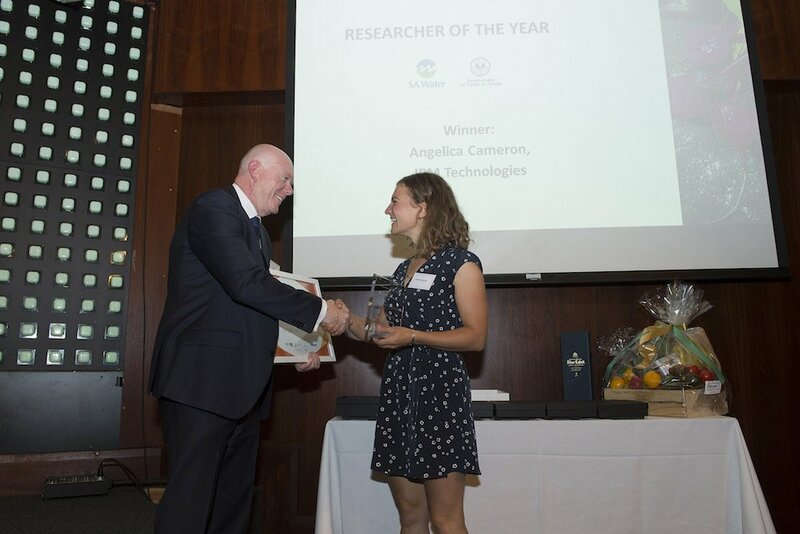 Jessica has worked on a range of research and extension projects for over 20 years and is currently leading a project that will provide information on the impact of pesticides on beneficial species of importance in vegetable IPM strategies. These awards are extremely encouraging to us, as they suggest that the work we are doing is valued by the vegetable industry.